I didn’t expect that statement to be so true, so soon. At my hotel room in Baltimore this morning, I turned on ESPN, who was reporting breaking news. “Great,” I thought, “something is happening in football and I just want to see baseball highlights.” But then Jose Fernandez’s face appeared on the screen. I don’t remember who reported the news, or what they said. I just remember gasping, and immediately crying when my brain comprehended the news. He wasn’t hurt, he hadn’t gotten into some kind of trouble – he was dead. At 24 years old. Gone from baseball, and the world, forever. I saw Jose Fernandez pitch just once – one year and one week ago in DC – and it was by total luck. Early in the season, I had the chance for free tickets to a regular season Nationals game during the 2015 season. I chose a late season game, September 18, against the Marlins. I was hoping to see Giancarlo Stanton hit a monster homerun, but in June he broke his hand and was still on the disabled list when my game came around. Instead, I was able to witness something much better – Jose Fernandez (back from TJS sooner than expected) vs. Max Scherzer (my favorite Nationals player) – and I wasn’t disappointed. Both pitchers had solid games, although both were no decision starts. Fernandez was very good – until he wasn’t. He allowed one homerun and only two earned runs (same as Scherzer) over 5.2 innings, although he threw 95 pitches to do so. At the end of his outing, he looked fatigued – but still impressed me for someone making just his ninth start after recovering from TJS. Jose Fernandez was easily one of the best pitchers in Major League Baseball – and he had only three years of service time since his debut April 7, 2013. He will be remembered as much for his performance on field as well as his character. We know his story of coming to the United States and becoming a professional baseball player. We’ve seen the devotion he has to his mom, and to his abuela. Recently we learned he was about to become a father. Every baseball player loves the game, but few (if any) have ever expressed it the way Jose Fernandez did. So often we forget that baseball is a game and meant to be enjoyed, but Fernandez’s smile was a beautiful reminder that baseball is meant to be fun. There are multiple stories of Fernandez connecting with teammates, opposing players, and the community. He formed bonds with children and with charitable organizations. This is the kind of player you want representing baseball – or any sport. Appreciate every moment life gives you. 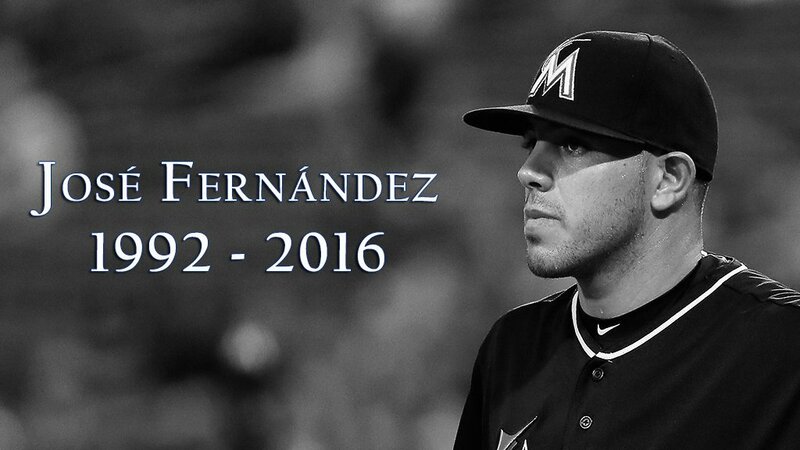 Love someone or something as much as Jose Fernandez loved life and baseball. And remember every baseball game you go to. You never know what history – and greatness – you might witness.